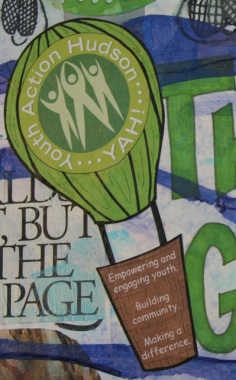 Youth Action Hudson was originally established under the name Community Action in 1981. This came about because a coalition of concerned community members was motivated by the negative effects that substance abuse was having on their local community to promote awareness of problem. The coalition's main focus in those early days was community education through a series of "awareness lectures" and print education. With its original background in adult alcohol and chemical abuse, Community Action's transition to serving youth in 1995 naturally brought them into youth substance abuse prevention and education. Later, the emphasis on prevention was expanded on to include educating youth on service, leadership, healthy relationships, violence prevention and community life. Propelled by a volunteer coalition whose mission was to create opportunities for youth, Community Action worked to give youth the chance to get involved in their community and to build healthy relationships with their peers. Community Action evolved to incorporate an organizational structure that was intended to more effectively and efficiently manage the direct needs of the youth in the area as life was becoming increasingly more fast paced for our young adults. Wanting to stay closely connected to those they served, in 1999, the Youth Advisory Board was established to ensure that all Community Action activities were youth-driven and youth-led. In 2000 Community Action received its first AmeriCorps Volunteers and in 2001 Community Action hired its first Executive Director. 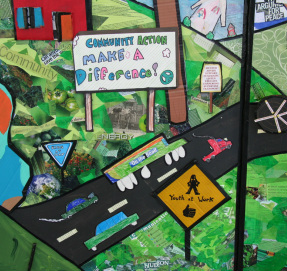 In 2002, Community Action created a Program Coordinator position designed to coordinate all youth initiatives and programs and supervise the AmeriCorps Volunteers' efforts. In August 2008, board and staff members began work to move the agency forward in a new three-year strategic planning process that resulted in a new name and a revised mission statement that would better reflect to the community the focus of this agency. The name, Youth Action Hudson (YAH), was created and selected by the youth working with our programs and approved by the Youth Advisory Board. The mission, "empowering and engaging youth to make a difference through service, leadership and education" continues to help guide our programs and allow youth to create positive, sustainable programs for the Hudson community. Youth Action Hudson has since continued to expand and improve its programming as we perpetually work to provide youth opportunities to grow as capable individuals and compassionate community members. Youth-created Service learning to enrich the learning experience, teach civic responsibility, strengthen communities and link learning to self-reflection. Peer-led Health education to promote healthy lifestyles, lifelong healthy activities and behavior choices. Parent support to promote parent-child connectedness and enhance parent-child communication. Increased opportunities for pro-social involvement in school and community. Peer norms that discourage violence and substance use - Violence and Substance Abuse Prevention. Increased personal expectations for a positive future.